Health Campaigns like Meatless Monday encourage people to remove meat from their diet at least once a week. According to them, removing meat at least once a week can reduce your risk for diabetes, cardiovascular diseases, and cancer. Some also abstain from eating meat on Friday due to religious reasons. Having no meat in your diet doesn’t mean boring or unsavoury meals for the family. 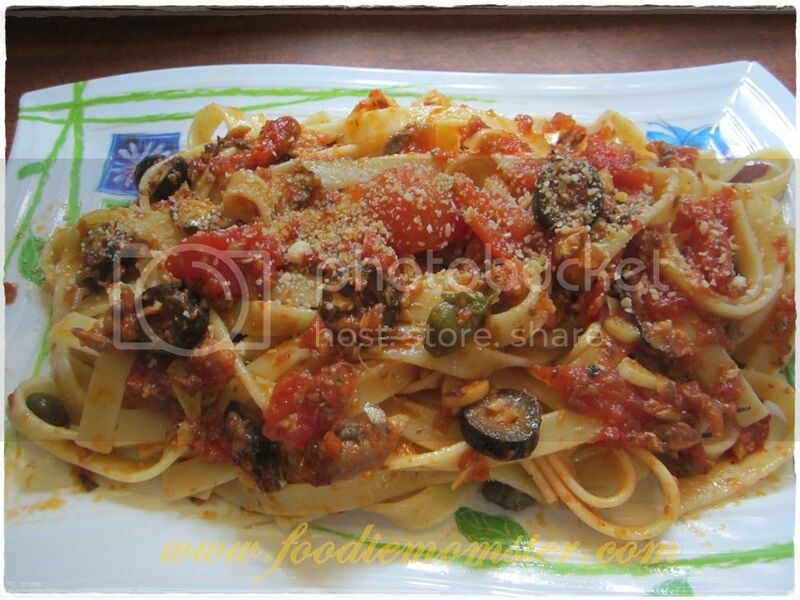 This Sardine and Tomato Pasta Recipe can be a filling and tasty treat for your meatless days. Heat pan and put 1 tablespoon Olive Oil to coat pan surface. Saute onion and garlic until onions become transparent. Add whole peeled tomatoes with the juice and mix for about a minute for the flavors to blend. Add pure olive oil from the bottle and mix well. Slightly mash the sardines before adding it to the sauce. Put sliced olives and capers. You may season the sauce with salt, pepper or fish sauce to add flavour. Seafood seasonings can also make the sauce more savory. Remove from heat and set aside while preparing the fettuccine noodles. Pasta Preparation : Boil water and put pasta in for about 8 minutes or until slightly undercooked. Remove pasta from water and place it in the sauce pan. Mix pasta and sauce under low heat then turn off stove as soon as pasta and sauce are evenly mixed. This Sardine and Tomato Pasta Recipe offers a quick and easy way to prepare meals on Meatless Monday or Fishy Friday. Serve it with a generous sprinkle of parmesan cheese and some fresh basil for added flavour. You may also add some dried basil in the pasta sauce just before you put the fettuccine noodles in. If you want to add a chunky feel in your pasta dish, you can modify this recipe by putting champignon mushrooms in it. 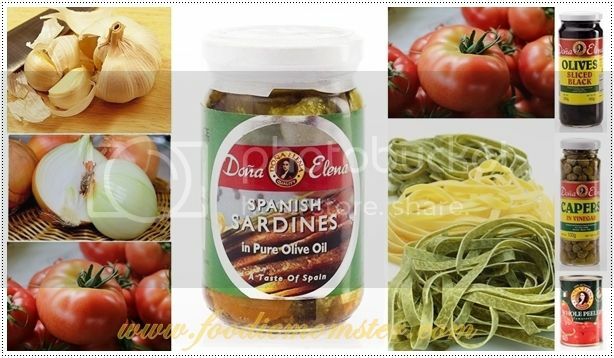 You can also create your own Sardine and Tomato Pasta Recipe this Lenten season by adding herbs and spices in it or using a different type of pasta noodle.